Nature Posts: "Whaaaat?!? Those things live in Pennsylvania?" Seriously, I took this photo today. All I did was lean over a log and there it was! This creature was just kinda floating there... watching me with its alien-looking red eyes. Now while it true that I was all alone in the forest at the time, I actually took some video for my next post. I also went prepared to catch some, because I knew these curious creatures would be at that special spot. I took some home to show the boys. They said, "Whaaaat?!? Those things live in Pennsylvania?" Yep, way out in the woods. 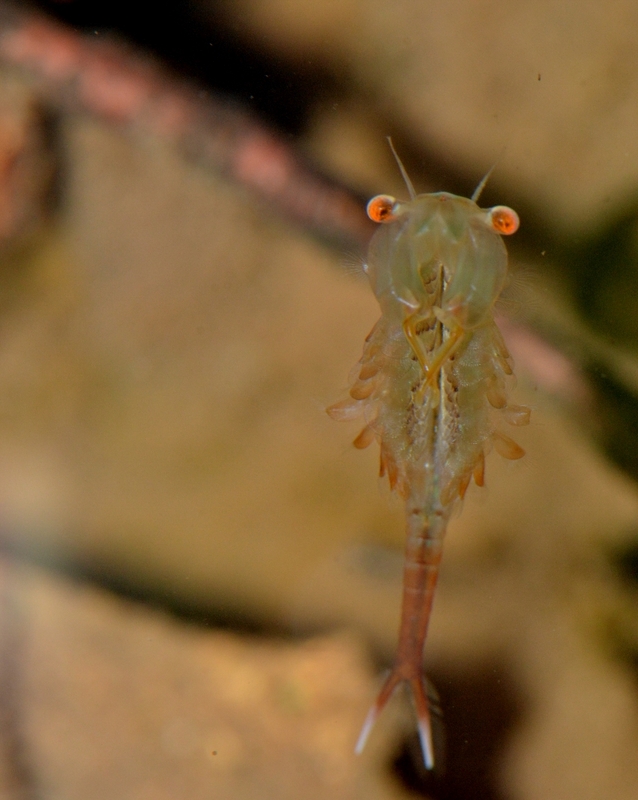 See my next post about these fairy shrimp. Yes, that's a fairy shrimp that my boys incredulously called a "thing". I'm pulling together some more photos for a post about these ephemeral creatures of the vernal pools. Great! Can't wait to read that post!